The family of heat shock proteins (HSPs) was initially characterized as a highly conserved battery of genes whose expression could be induced by heat shock. HSPs play a prominent role in many of the cell’s most basic processes. 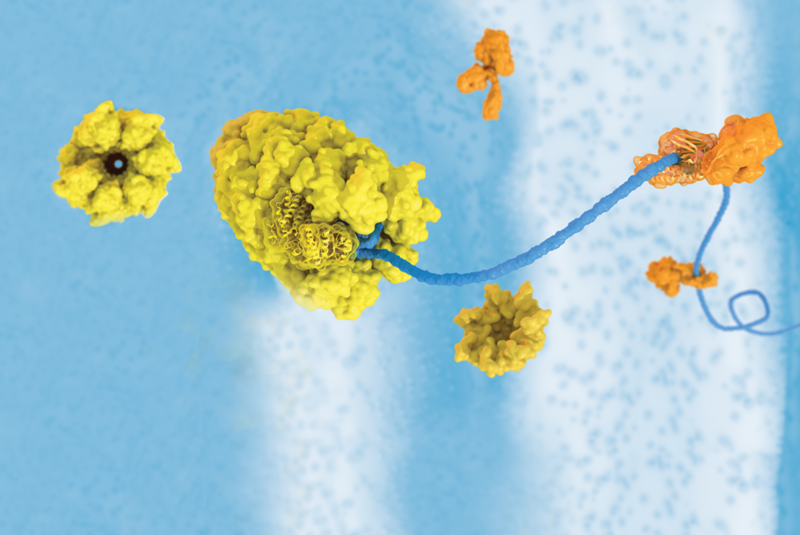 Many heat shock protein family members are now known to function constitutively as molecular chaperones, stabilizing and assisting in the trafficking of nascent peptides during normal growth. Under stressful conditions such as heat shock or hypoxia, increased expression of heat shock proteins protects the cell by stabilizing unfolded or misfolded peptides, giving the cell time to repair or re-synthesize damaged proteins. Their general role as molecular chaperones, protectors of the proteome, is now central to many areas of active research including aging, neurodegeneration, signaling, immunology and cancer. Many heat shock proteins function together in co-chaperone complexes, such as HSP70/HSP40 (bacterial DnaK/DnaJ) that along with GrpE acts as an ATP-regulated shuttle complex for newly synthesized proteins. Many of these nascent peptides are delivered to HSP90-containing complexes, which play a critical role in the stabilization and activation of key signaling kinases and hormone receptors. The HSP60/HSP10 complex (bacterial GroEL/GroES) forms an alternative protein folding mechanism in the mitochondria. Small heat shock proteins including HSP27 and the crystallins form large oligomeric complexes that function to prevent protein aggregation. Enzo Life Sciences is your exclusive source for the comprehensive portfolio of Stressgen® products specific to the analysis of Heat Shock Proteins (HSP) and chaperones. Products include: inhibitors, substrates, proteins, antibodies, kits and a host of other products specific for HSPs, co-chaperones, and client proteins. Enzo Life Sciences ELISA kits offer an easy and reproducible way to quantify various heat shock proteins including HSP70 and HSP90α. Heat shock mediated induction of [pSer326]HSF1 Protein (Prod. No. ADI-900-199) in HeLa and 3T3 cells. Induction is expressed as the fold change relative to non heat‐shocked control samples. Sensitive, ELISA kit for this key transcription factor for heat shock protein (chaperone) research. Web links to additional cell stress resources sponsored by Cell Stress Society International. A web site for the community of scientists interested in the Hsp90 molecular chaperone machine. Features a table of interactions for Hsp90 and related molecules.